Hello and Happy Tuesday! We’re shaking things up here on healthygrocerygirl.com. First you’ll notice we’re posting this week’s Healthy Grocery Girl Show episode on a Tuesday! Some could say it is because this recipe is too delicious to wait until Thursday to share it with you! Secondly, you will notice we’ve added a new feature…. recipe cards! We hope that organizing Healthy Grocery Girl recipes, as you can see below, will make it easier to enjoy, save and /or print them for your personal use! 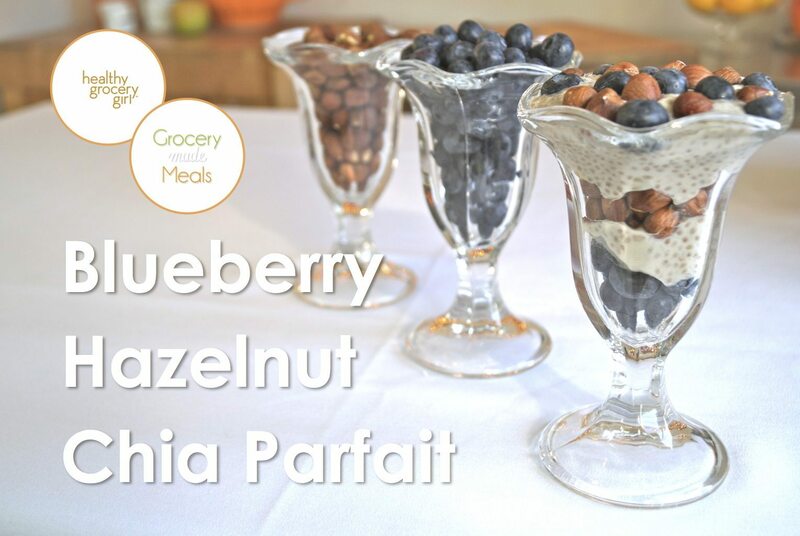 In today’s episode I am sharing how to make a Blueberry Hazelnut Chia Parfait using Chia Pod’s from The Chia Co. 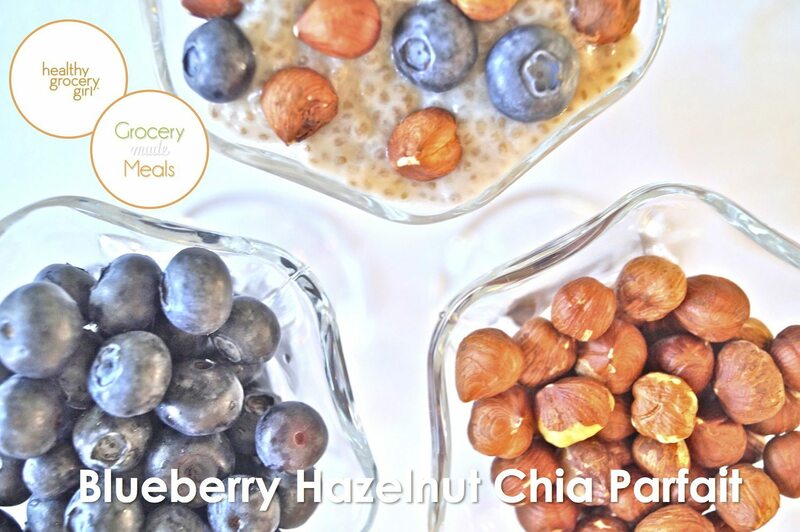 I also include a homemade chia pudding recipe below, if you’d like to make your chia pudding, rather than buy it. Let me know if you give either of these recipes a try! A simple and delicious breakfast, snack or dessert! If you'd like to make your own homemade version of chia pudding, try this chocolate, coconut & chia pudding recipe from my book, "Superfoods for Life, Coconut". 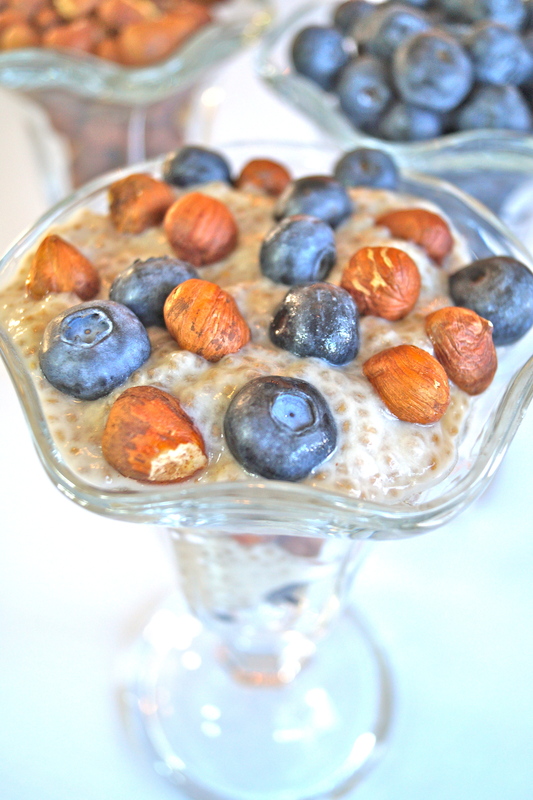 Layered with hazelnuts and blueberries, it is delicious! Add the maple syrup and 1 teaspoon water to a medium-size bowl and whisk together to form a thin syrup. Add up to 1 additional teaspoon of water, if necessary. Add the coconut milk, almond milk, and cinnamon, and whisk together. Add the cacao powder to the mixture and whisk together. Last, add the chia seeds and whisk them into the pudding mixture. Refrigerate overnight or for at least 4 hours prior to serving to allow the pudding consistency to develop. Serve chilled.